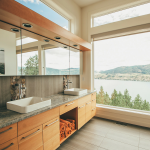 Spread over the hillside along Okanagan Lake, a short 10-minute drive from downtown Kelowna, lies Wilden, a community that has mastered the art of growing in population without losing its pristine beauty. Wilden is the largest master-planned community in the Okanagan Valley. Approximately half of the over 1,500 acres will always be preserved as natural open space and public parkland.